they leave behind an empty hole. for an empty life and sad routine. we try to smile when we’ d rather cry. Suffering and pain do not knock on the door and ask us for permission to enter our lives. Tragedy can happen in a second and leave us trying to pick up the pieces to go on. We carry scars, some that can be seen and some that cannot. Often the ones that cannot be seen, the scars on our hearts and minds, hurt the worse. A difficult past, an accident, death, divorce or something we said or did that had terrible consequences, rip apart the tapestry of our lives. One august afternoon in Colorado, I was playing a game of touch football with my family. I caught the ball and fell down in a hole. I heard a snap and unbelievable pain shot up my leg. After the doctor in the emergency room saw my X-ray, he said “Don’t move, its very serious”. My heart sank. 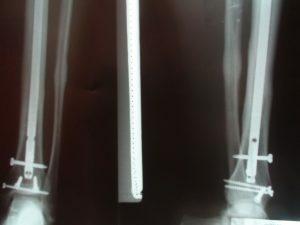 I shattered my leg in four places. The surgeons put a rod and eight screws in my bone. In an instant, I went from running long distances, to sitting in a wheel chair in severe pain. 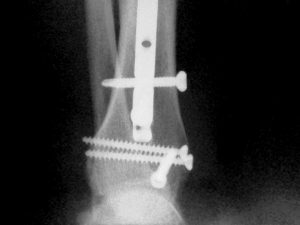 The doctor told me I would not walk the same again. Life can hit so hard, we don’t know how to get back up. Even those closest to us cannot sympathize with what we are going through. But my dear friend, no matter what you have been through or are dealing with, you are not alone. Please, let me tell you the secret that I learned; hope is for the broken. God is not a pastor who wants you to try to be better, but a Father who knows you can’t. He sent Jesus, the Son whom He loves, down to earth, to become one of us. We could not be holy to get to Him, so Jesus became a servant, to get to us (Phil.2:7). Say for example that you suffered some kind of an injury. Then later your friend suffered the exact same injury. You would now be able to tell your friend exactly how to rehabilitate. Jesus suffered our exact same injury of sin. He became human. He emptied Himself of His rights as God, and chose to become broken. “…He took up our pain and bore our suffering...” So now, “… By his wounds we are healed”(Is.53:5). Jesus was us, so He can completely sympathize with us. He fully understands what you, personally, are going through (Heb.4:15). All of us have this sickness in our blood called, “sin” (Rm.3:10). And all of us are broken because of it. Jesus bore all sin and all pain. He knows your deepest hurts, your anger, guilt, fears and regrets so He can completely, unconditionally, forgive you and heal you. But it is your choice how to respond to His love. 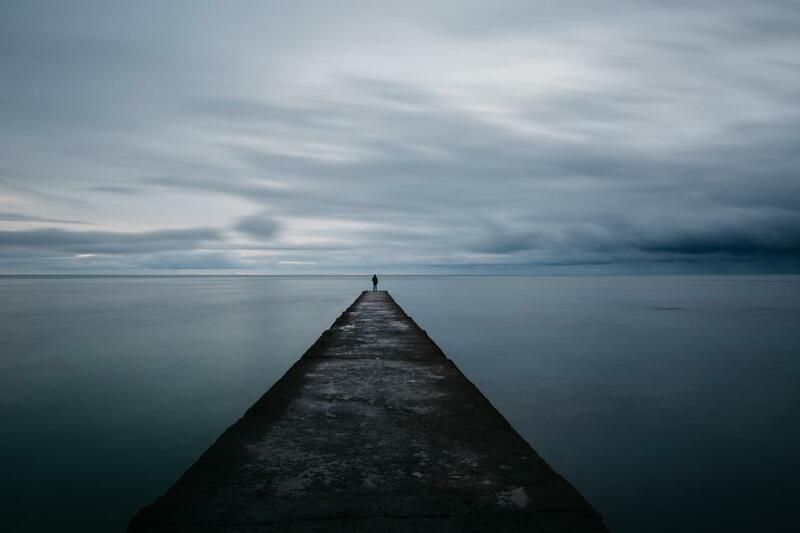 In my moments of sadness and pain, I choose to reject the poisonous thoughts of, “Why me?” “Why did this happen TO ME…” Instead I choose to fall into the “shelter” I discovered at a young age. 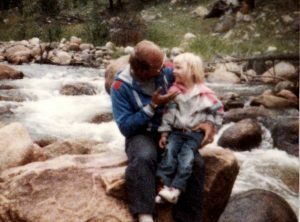 As I sat in my wheel chair, I remembered back to being a child and sitting on a rock with my father in the middle of a river in the Rocky Mountains as he taught me the words of Jesus. “If anyone is thirsty, let him come to Me and drink … from his innermost being will flow rivers of living water”(Jn.7:37). My daddy taught me that this source of “living water”, comes only to the broken (Ps.51:17/Jn.12:24/1Pet.5:5). I studied the Scriptures by myself and discovered the exciting reality that God Almighty speaks to us today, through His Word. When I was 7 yrs. old I asked my father if I could be baptized because I wanted to make a commitment to live for Jesus. On August 22, 1989 I gave Him my life. As I grew, I came to know and love the living Jesus. I have no life besides Him and His love controls me (2Cor.5:14). God is not waiting to meet you inside a building on Sunday, but to meet you on the “ground of broken”. A ground where there was a hill and a cross. A ground that was saturated with the blood of an innocent man. 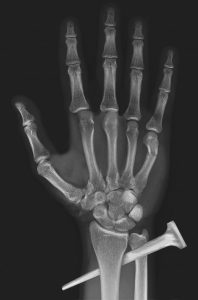 Whether your “X-ray” would show a physical, mental or emotional scar, remember, Jesus also had “X-rays”. Nails penetrated his hands and feet as the weight of His body hung on them. Thorns pierced His skull. A spear punctured His side. The sin of the world rested on His shoulders. He was all alone. This man…this God, knew more pain and suffered worse than anyone ever has or will. When Jesus rose from the dead, He proved once for all that power is perfected in weakness, that life is born out of death, that honor follows humility and beauty comes from broken (2Cor.12: 9). Through my years, I have suffered other injuries, broken bones, serious sicknesses, third degree burns and been in dangerous situations. I have experienced the tragedy of war, death, disease and worked in many of the worst, most foul prisons in the world. I have learned that even in the worst situations, each person can still choose their attitude, and what they choose, will determine their life. Self pity, depression and regret are the responses of so many. Some become bitter and blame God. Others look for help in a “church” or religion. Many, tragically turn to drugs. But my dear friend, if you want to “get back up” and have a beautiful life, don’t be like the majority. 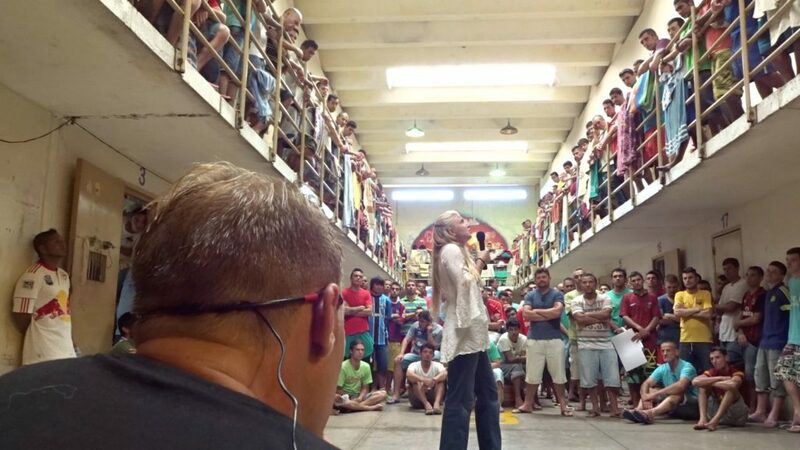 My family and I work in prisons all around the world. 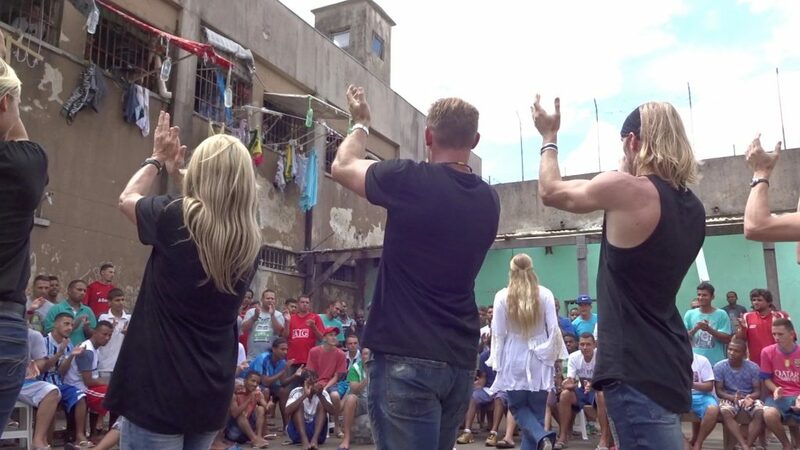 We use a platform of dance, music and magic to touch them with the hope of the Gospel and the Fathers love. I dance Irish step dance and share how hope is for the broken. I get the chance to speak to thousands of men and women who are also suffering and I draw from my pain to reach them in theirs. Instead, of thinking about things you don’t have, or cant do, DO the one thing that will change your thinking. Invest time to study the Gospel of John all by yourself. Talk to the living Jesus. Let His beautiful words, replace your dark thoughts. Thinking about the past will only steal your future. Even if you feel far from God, He is not far from you. In the darkest darkness, God is there and waits for you to call on Him (Ps.139). Tragic things happen because we live in a world that belongs to the devil (1Jn.5:19). Jesus overcame the world (Jn.16:33). Do what I did, ask Jesus to be “born again” to forgive your sin and save you from hell (Jn.3:7). He will help you. I recovered from my accident and although I still deal with a lot of pain, I would not take it back even if I could. The doctor was right, I would never walk the same again. I now “walk” with a deeper joy. Suffering produces character and character, hope (Read Rm.5:3). 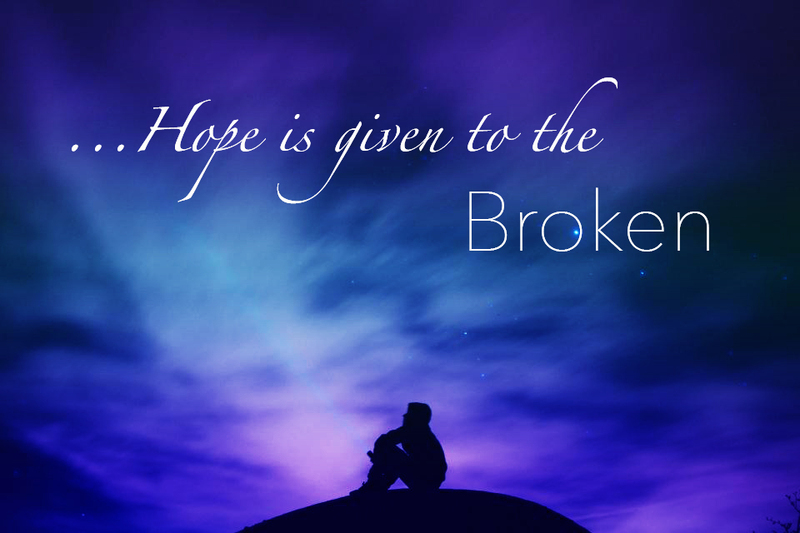 Hope is for the broken. This may all sound quite serious but if you met me, you’d touch the life and laughter in which I walk. If we choose humility, our suffering can be to our advantage and draw us to God’s love. I travel the world working on the streets, in prisons, orphanages, with the disabled and poor. I draw from my pain to touch the pain of others and bring them the Fathers love. All that really matters is eternal life. God promises “…I will heal you of your wounds…(Jer.30:17) I wrote this because I care about you. If I could ever help you with something please write me.